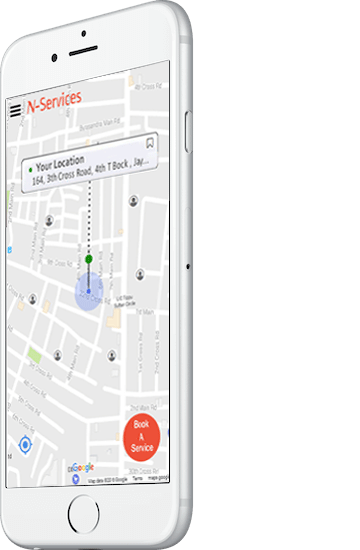 Start your own Home & Local services booking app using nServices app. Already running a home/local services business? Use nServices app to grow your business. Be future ready! 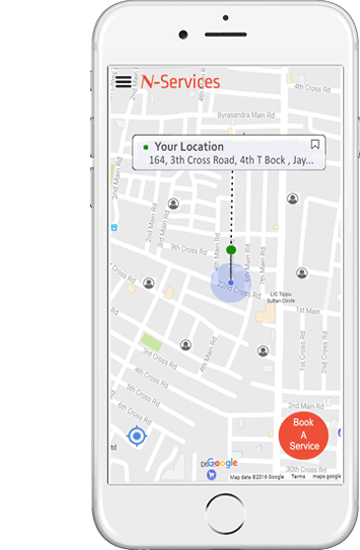 App for customers to search service providers, book a service, live-track service provider. App for Service providers. 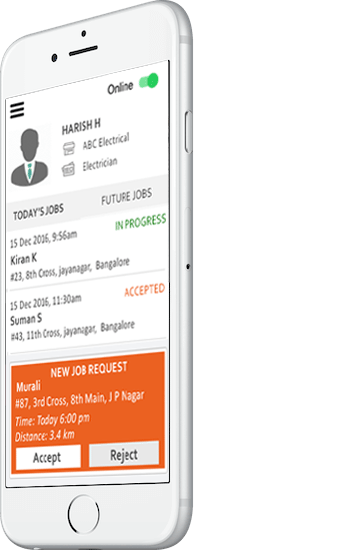 View bookings, track jobs done, receive payments. Both Customer & Service Provider apps available for Android phones. Feature-rich backend Admin website to manage bookings, service providers, payments and more. What nServices app can do? 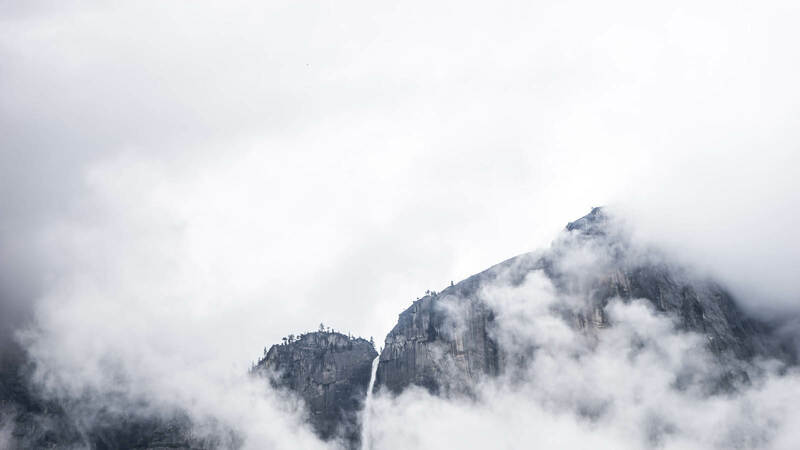 Use the software to create an aggregator app. 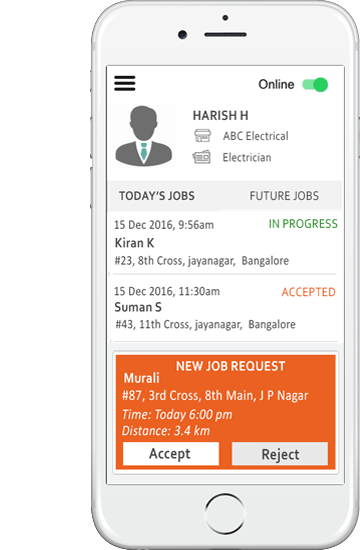 Independent service providers can register on your app. You verify & approve them. Consumers use the services from service providers. You act as a intermediary. You will run business for single service. For ex: Food delivery app. Restaurants/Stores are service providers. Consumers order food from service providers. You act as a intermediary. You can use nServices app to grow your existing business or start a new business. For ex: Running a 'Physiotherapy at Home' service? You can launch your own app for your business. Add your physiotherapists as service providers. Your consumers will find it easy to book service, schedule visit time etc. > Create app like UrbanClap, HouseJoy, Uber, Ola, Helpr, Taskbob, DoorMint. TRY DEMO APP! DOWNLOAD NOW!